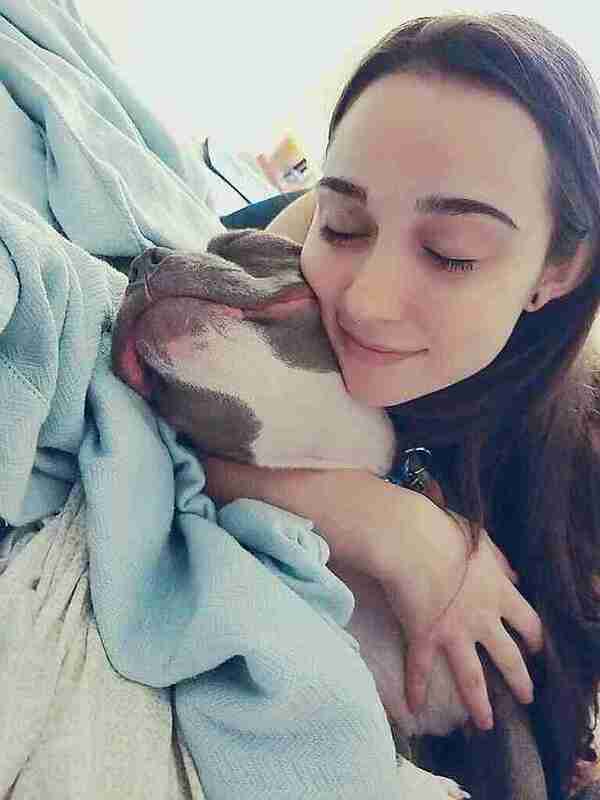 Jennifer Hindieh and her then-boyfriend adopted Bailey from the North Hempstead Animal Shelter in New York when the puppy was just 5 months old. 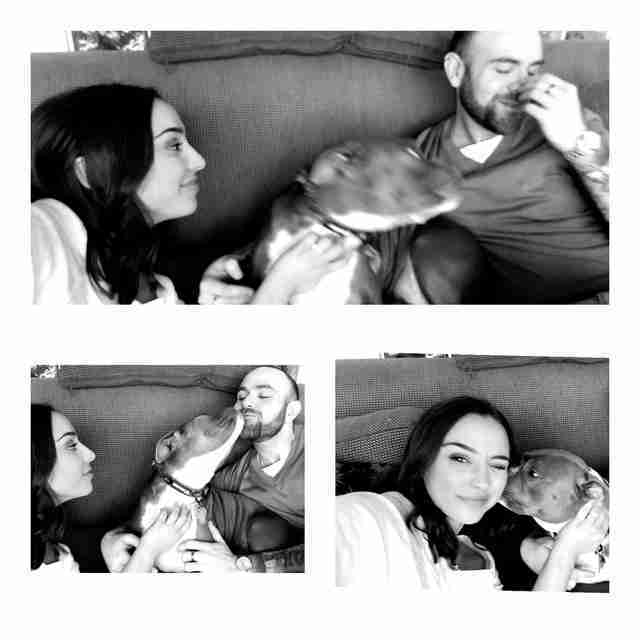 Since then, she’s been the third member of their little family and their best friend — and so when Hindieh and her boyfriend got engaged after seven years of being together, they knew they wanted Bailey to be as involved in everything as she possibly could be. From the very beginning, the couple knew they wanted Bailey to be a part of their wedding. She’s always been an incredibly friendly, goofy pup, and they knew she would love meeting everyone there and would probably end up being the life of the party. “Literally, she would jump in a stranger’s car and lick them to death,” Hindieh said. … and decided to buy her her very own wedding dress. Hindieh ordered Bailey’s dress online from CocoAndBushkaCouture on Etsy. Bailey often wears hoodies when she goes outside to keep her warm, so putting on the dress was no problem for her. 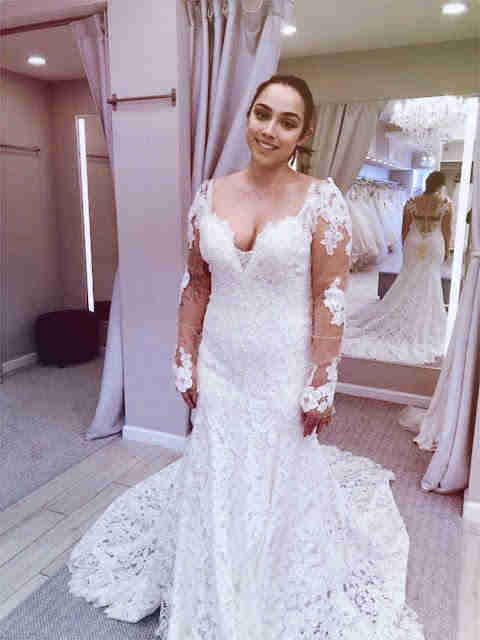 It fits wonderfully and looks so cute on her, and her mom is so excited for everyone to see her in it as they walk down the aisle together. Hindieh and her fiancé are getting married in September, and can’t wait to share their special day with Bailey. They’re even having a mini dog-safe cake made especially for her — so they don’t expect her dress to stay clean for very long!